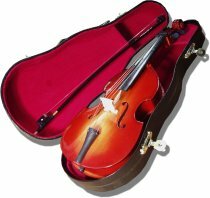 A miniature immitation double bass complete with its own velvet lined storage case, bow and stand. 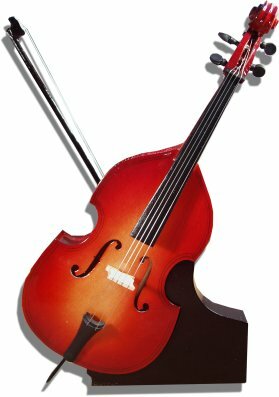 The perfect gift for the double bass player or classical music lover. Approx Size : 240 x 90mm (9 1/2" x 3 1/2").